Originally designed to accommodate balls, the old hall has seen gospel preachers, boxing matches (notably by John L. Sullivan in the 1880s) and wrestling bouts, orchestral concerts and literary performances (notably that by Charles Dickens), and political meetings. 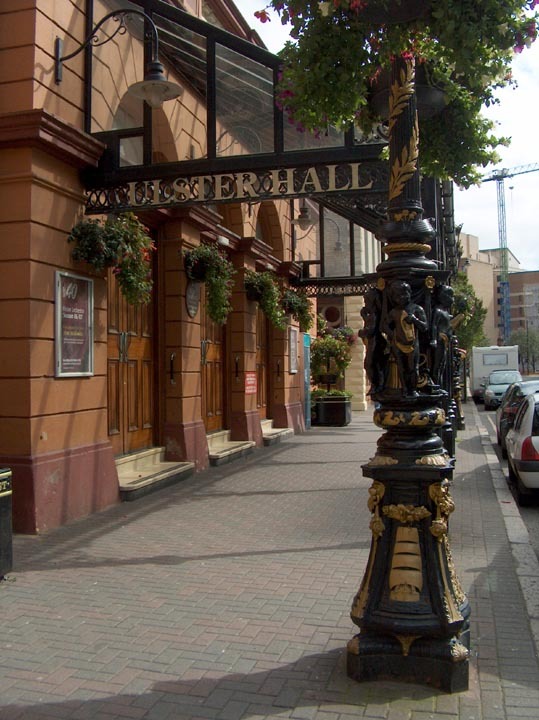 During the Home Rule crisis of 1912, Sir Winston Churchill, then a Liberal, was scheduled to speak on behalf of Home Rule in the Ulster Hall, but was prevented from doing so by belligerent Unionists, whose refusal to leave the building prompted Churchill to shift the location of his rally to Celtic Park. 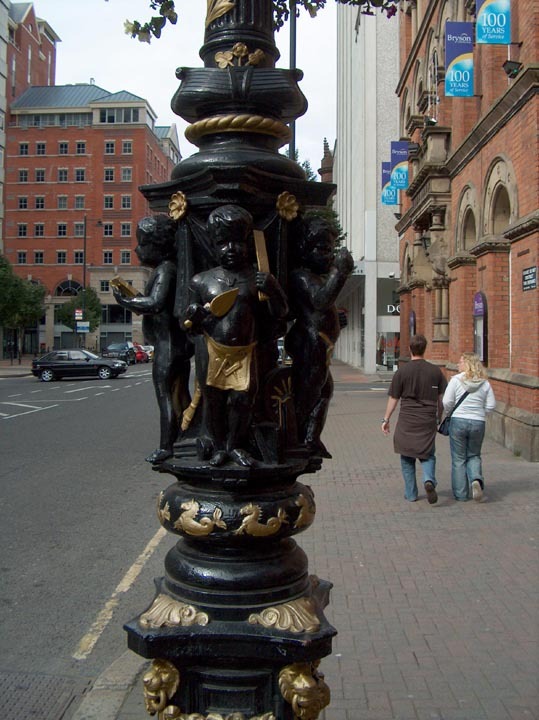 The Dickensian connection is worth noting, since Belfast marked the last stop on Dickens's farewell reading tour of the United Kingdom. 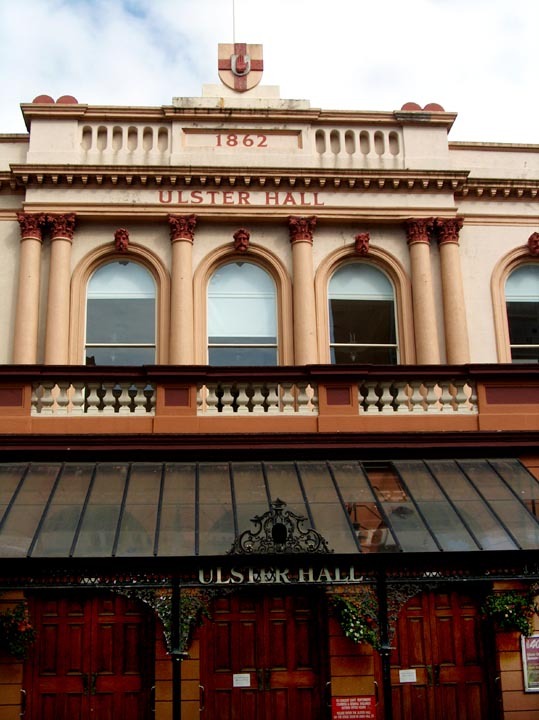 Although the Ulster Hall had not been built when he first visited the town in 1858, he delivered his celebrated public readings in the new entertainment venue in 1867 and in 1869. 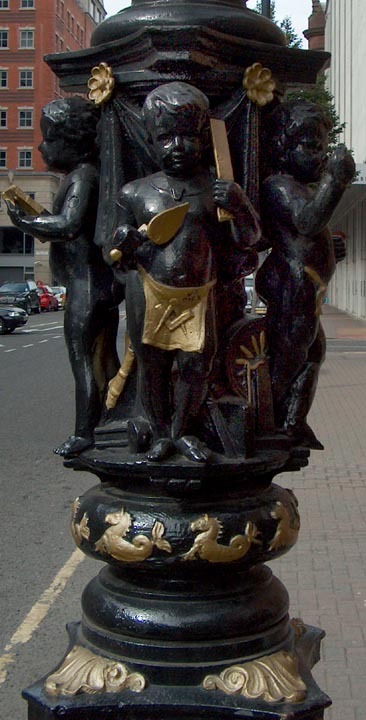 As a result of his first visit, he developed friendships with local politician and merchant James Emerson Tennent, and with the owner and editor of the The Northern Whig newpaper, Francis Dalziel Finlay. Photograps and text by Philip V. Allingham 2006. You may use this image without prior permission for any scholarly or educational purpose as long as you (1) credit the photographer and (2) link your document to this URL in a web document or cite the Victorian Web in a print one. Brett, C. E. B. 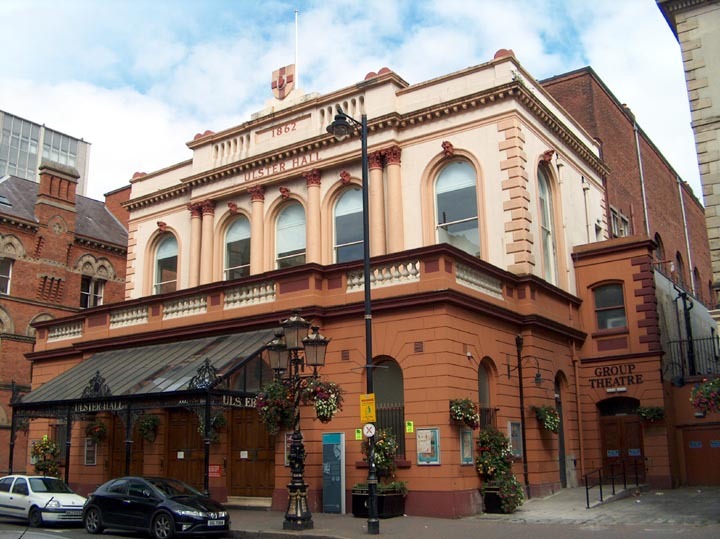 Buildings of Belfast, 1700-1914. London: Weidenfeld and Nicolson, 1967.